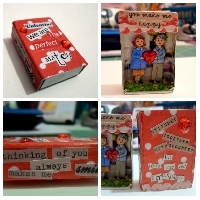 I love matchboxes and thought it would be fun to do a monthly matchbox swap in 2016. 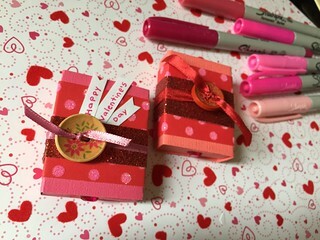 For this swap you will decorate a 32 ct. matchbox with the word February or Valentine somewhere on the box. Then fill it with fun tiny treasures or create a scene inside. Senders choice. You can alter a store bought matchbox or use a matchbox template to create your own. This swap is US only. You must have ratings for at least 3 type 3 swaps. No 1's and no recent 3's. If you have any questions, please send me a private message.